I have been a fan of Neil Simon for years. In fact, this was the film that first introduced me to his many talents. A Broadway superstar whose name was sometimes bigger than the stars in his plays, this was chosen for the 1979 Royal Film Performance and it has one of the most ironic screen stories ever. More of that later. What we have are some of the biggest names in cinema at the time, playing out four different stories, all linked by the Beverly Hills Hotel during Oscar week. What we also have is Neil Simon mixing up his comedy styles. Bill and Hannah have been divorced for a while and have a teenage daughter, who has decided to leave her mother in Washington to live with her father in Beverly Hills. The pair meet to battle out the details of who should keep her, with vicious sarcastic bite. Diana Barrie, a distinguished British stage actress, has been nominated for an Academy award, which leads her to almost self-destruction with her gay husband, Sidney, watching from the sidelines. Marvin Michaels has come to celebrate his brother’s son’s bar mitzvah, yet he finds a surprise in his hotel suite with his wife arriving any moment. Finally, two doctors on vacation, find the pressure of spending two weeks with each other more than a strain. Skipping merrily from one story to another, Herbert Ross’s simple direction allows his talented cast to take the reins of Simon’s hilarious script and just run with it. From the wordy battle of wits between acid-tongue Hannah and her screenwriting ex, to Diana Barrie’s drunken exchanges with her husband, to the farcical exploits of Marvin as he tries to hide his secret from his wife, to the out and out slapstick war between two surgeons, Simon’s script crackles along at a terrific pace and the often switches from each story doesn’t feel unnatural or awkward. The strengths of this simplistic idea lie in the writing itself. When Simon is on one-liner duty, each gag hits its target, producing an almost machine-gun style of banter not often heard in most comedies. The patter between Hannah and Bill, or Diana and Sidney, is often vicious but never to the point of nasty. It is sharp and precise. The two other segments, relying on more physical comedy, with Marvin desperately trying to stop his wife from seeing the surprise in his bed, or the doctors physically fighting each other in a hotel room full of mayhem, aren’t as sharp but as funny. The other strength is the casting. Each piece is perfectly suited to the actors involved. Jane Fonda is sharp and venomous as the embittered Hannah, refusing to let go of her little girl without a fight while Alan Alda’s laid-back Bill compliments her. 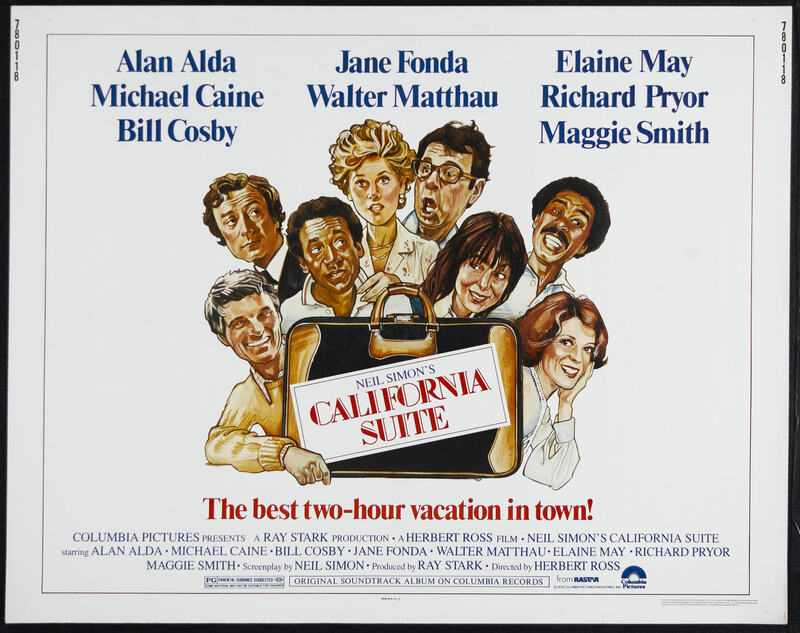 Walter Matthau has loads of fun as Marvin, a man on the verge of a nervous breakdown while he covers up his infidelity from his wife, the quietly funny Elaine May. 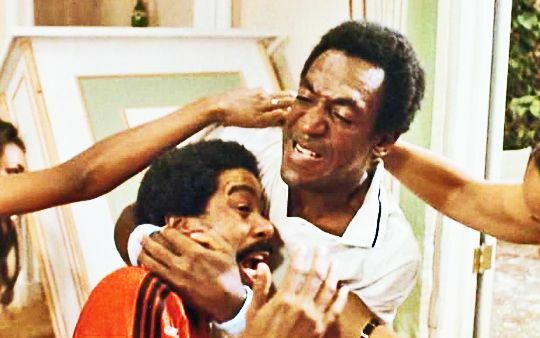 Bill Cosby and Richard Pryor go all out in their physical comedy of errors as the doctors with disaster on their hands. 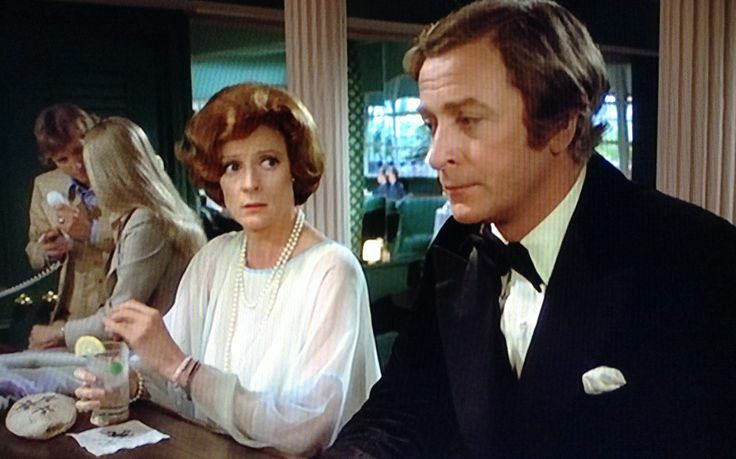 Yet it is the sparkling wit from Michael Caine and Maggie Smith that is the film’s starring section. Yet it is the sparkling wit from Michael Caine and Maggie Smith that is the film’s starring section. Caine, playing the husband to a successful actress, who in a former life was an actor himself but has escaped to the tranquil world of antiques and also hides his sexuality, while Smith is the Shakespearean actress nominated for “a nauseating little comedy” after years of treading the boards. The irony of this piece is Ms Smith won the best-supporting-actress award for playing Diana, in, as she would put it “a nauseating little comedy”. Yet this isn’t. In fact, it’s smart, witty, intelligent and laugh-out-loud funny and while it may not have to resort to lurid or crude humour, it shines above most other comedies in the way it bounces along with a joke at every corner. It might not be Simon’s best work but it certainly shows off the genius of the man.